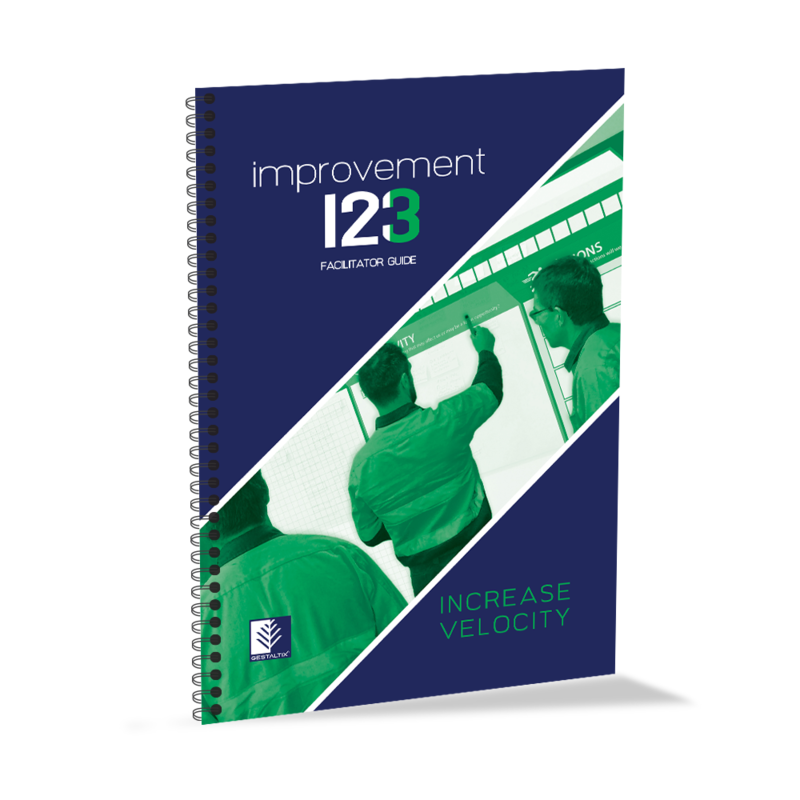 Increase Velocity builds on the foundations laid in the first two kits, and engages your teams in the essentials of monitoring process performance and improvement. The kit and coursework provide a proven, repeatable mechanism for identifying work constraints, and focuses the team interdependent relationships to Increase Velocity in your business! 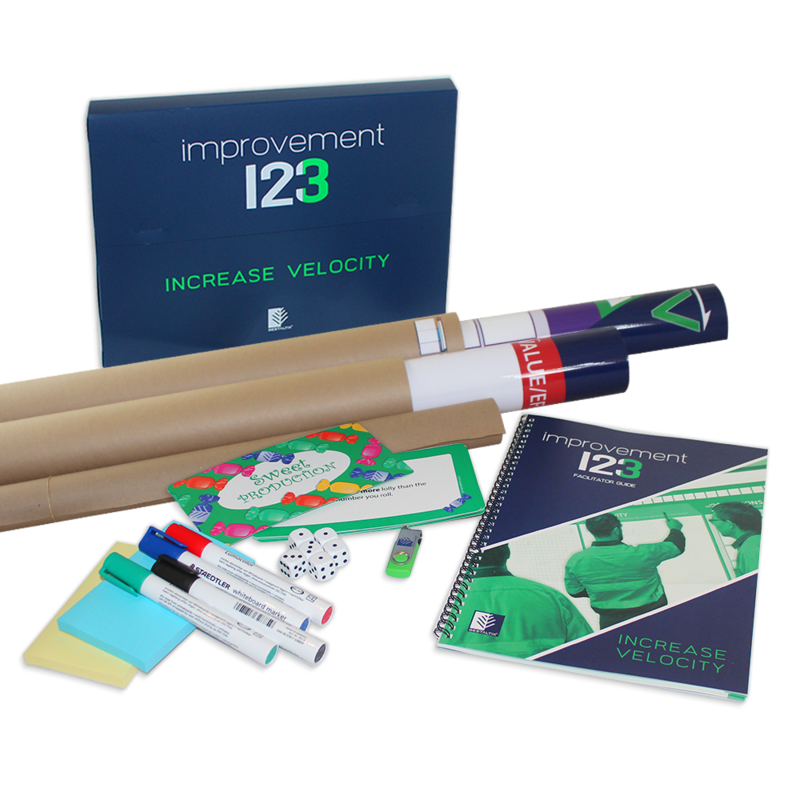 The Increase Velocity kit is available as a Workshop kit or Masterclass ‘unlocked’ package. 36 page, easy to follow step-by-step guide for facilitating the coursework and implementation of strategies and visual tools. 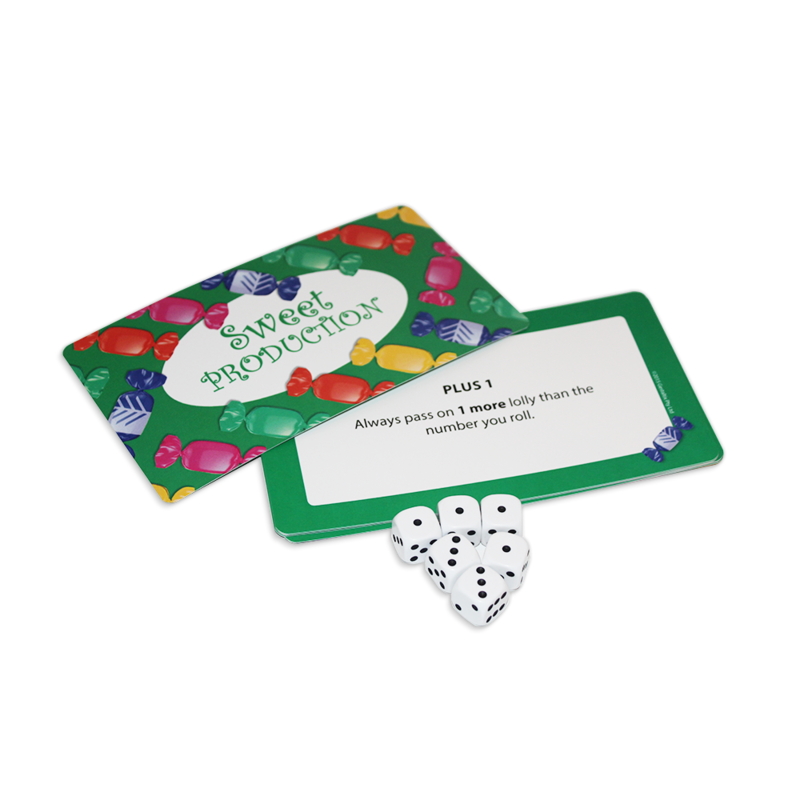 Kit of 6 dice and Role Description Cards to deliver the unique opening Sweet Production Game. The game is used to highlight the interdependency of each person in a system and the need to focus improvement on the whole process. 6 metre roll of brown paper, 2 packs of large Post-it notes and dry erase pens for group work-structuring activity. The Priority Reckoner is used to identify the high value waste/issue removals that can be addressed immediately and to define the current velocity improvement focus. 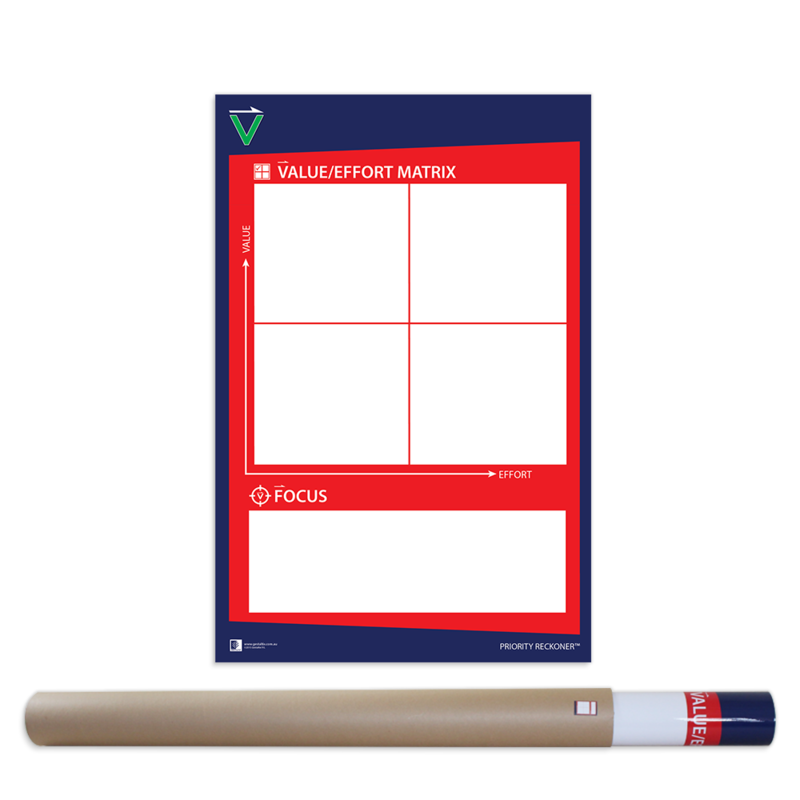 This unique and durable visual tool is printed on superb quality paper and laminated for continuous use with dry erase markers. 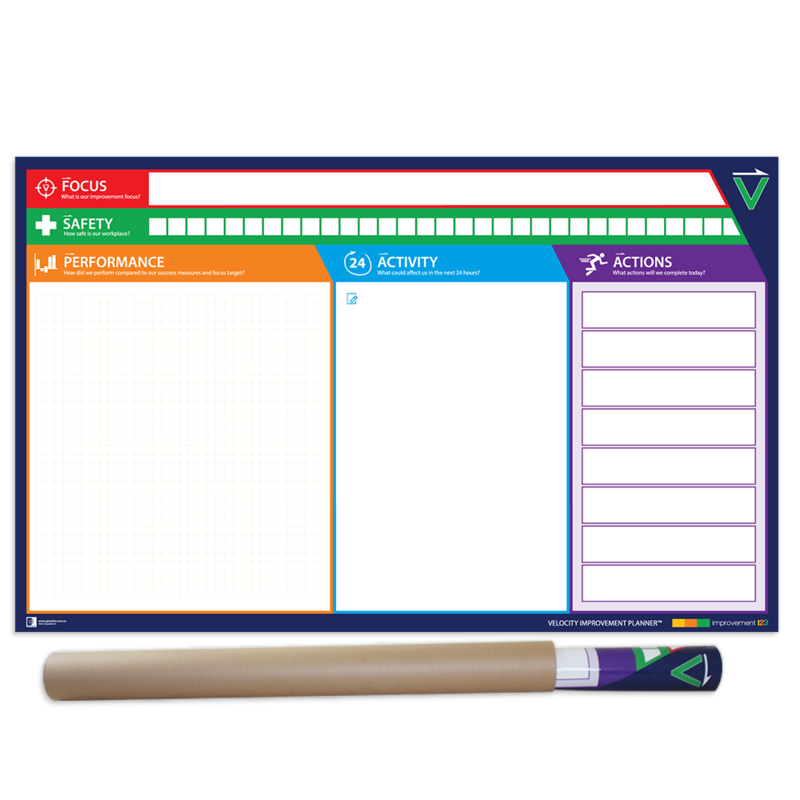 The Velocity Improvement Planner makes it easy for your teams to record and communicate safety, performance and upcoming activity and to drive focused action in their key processes on a daily or weekly basis. 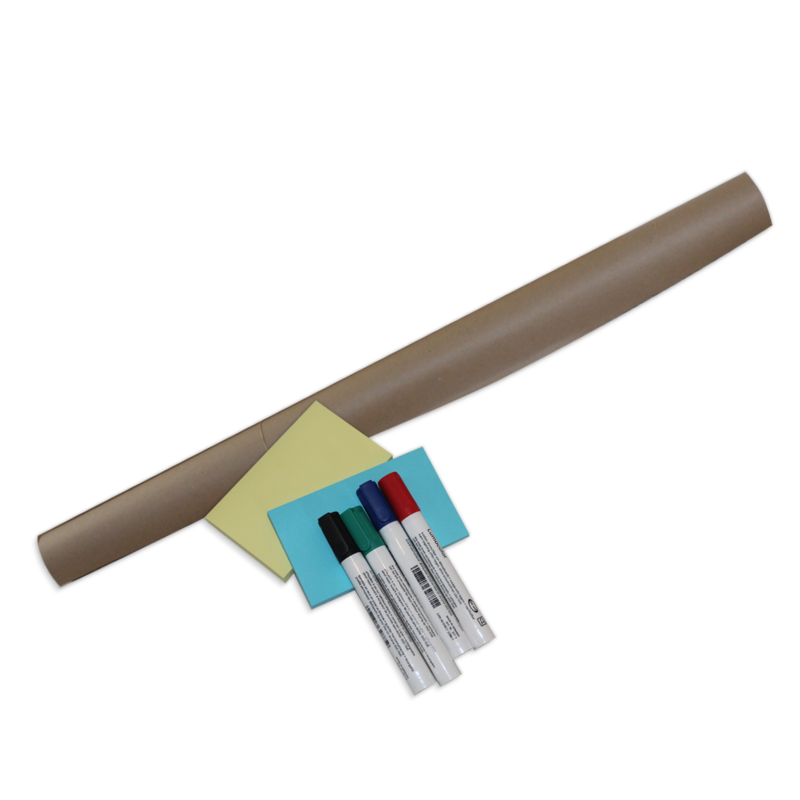 This unique, professionally designed and durable visual tool is printed on superb quality paper and laminated for continuous use with dry erase markers.